James, Aiden (? 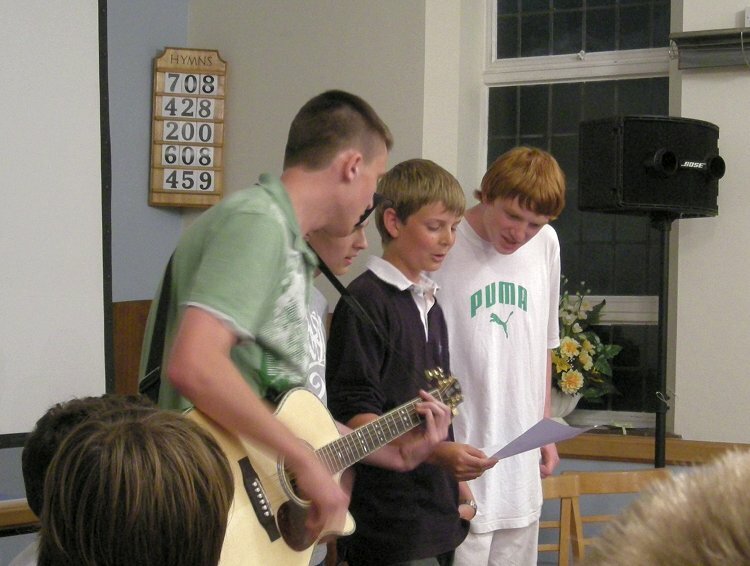 ), Mark and Murray perform their excellent shanty, "I wish I was JB (just.. for.. a day)" at Horsey Chapel. Sadly we have no video of this particular masterpiece, but if someone has the lyrics, we'll post them up. Everyone went around the rest of the week singing it. What do you think of this caption? We weren't sure when we wrote it. It seemed a little pointless. Still, it's here now, no point in complaining.